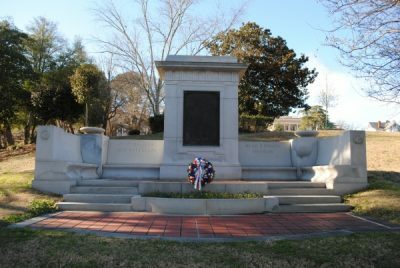 The Monument Commemorating the Fourth Anniversary of the Signing of the Armistice is "In memory of those of the 151st Machine Gun Battalion." In France, the 151st Machine Gun Battalion where soldiers came mostly from three Macon companies of the Georgia National Guard. There was much causality during the period of service. “Dulce et Decorum est Pro Patria Mori” is inscribed at the bottom of the plaque. In English the phrase means “It is sweet and right to die for your country”. This phrase was widely understood by many people during World War I. These lines originated from a poem expressed by the Roman lyrical poet Horace’s Odes. 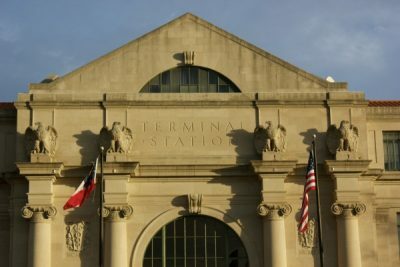 Designer: Captain A. Sidney Brown; Builder: Schneider Marble Co. of Americus. 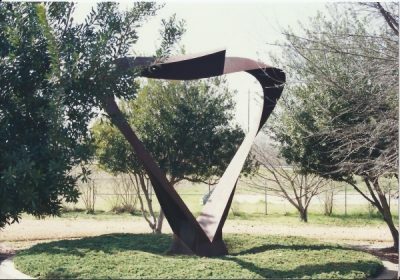 1993 condition: the sculpture needs cleaning but is otherwise in good condition. 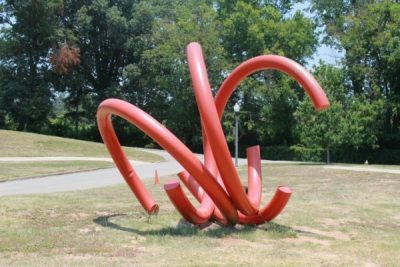 Installed in September of 2002 in Gateway Park with the conjoining efforts of the NewTown Macon organization and the Redding Estate, this musical sculpture of the late crooning legend commemorates his musical success that began right here in Macon. Father and son team Bradley Cooley and Bradley Cooley, Jr. of Florida created the likeness of Redding by making molds of the faces of his brother, Luther Rodgers Redding, and his two sons, Lester and Otis Reddings, Jr. The singer not only appears to be giving lucky visitors to Gateway Park a private performance, he really is! The sculpture continuously plays 15-20 Otis Redding's greatest hits, and the play list changes with the seasons. 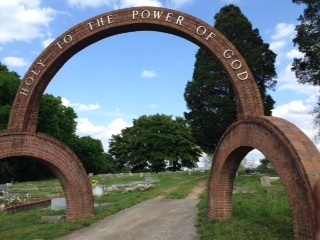 Born in Dawson, Georgia, Otis Redding's father was a Baptist Minister which explains Otis' musical influence. 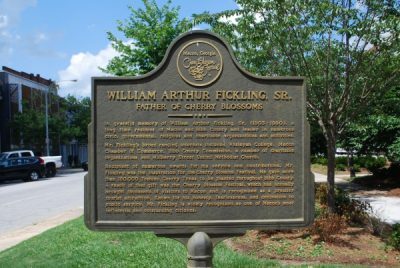 At the age of five (5) his family moved to Macon, Georgia and at an early age he began his career as a singer and musician in the choir of the Vineville Baptist Church. Otis attended Ballad Hudson High School and participated in the school band. Determined to help his family financially, he dropped out of high school and went on to work with Little Richard's former band, the Upsetters. After years of ambition and drive, Otis Redding's sacrifices paid off. He appeared throughout the United States, Canada, Europe, and the Caribbean. His concert tours were among the biggest box office successes of any touring performer during his time. He was nominated in three categories by the National Academy of Recording Arts & Sciences (NARAS) for recordings he made during 1967. 1968 was destined to be the greatest year of his success with appearances slated at such locations as New York's Philharmonic Hall and Washington's Constitution Hall. Redding was booked for several major television network appearances including The Ed Sullivan Show, The Smothers Brothers Show, and a television special starring Redding. Who knows where Otis Redding's career path might have taken him. All we know is that when his twin-engine Beechcraft crashed into Lake Monona, in Madison, Wisconsin, December 10, 1967… The World Lost A Musical Legend! 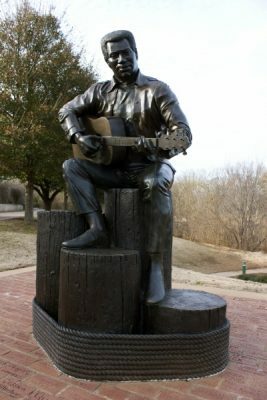 The life-size bronze statue of Otis Redding is near the Georgia Music Hall of Fame in Macon. The Georgia Music Hall of Fame in Macon preserves and celebrates the stories of Georgia musicians, songwriters and producers, from humble beginnings in small towns like Monticello and Valdosta to careers marked by chart-topping hits and worldwide recognition. The museum features interactive exhibits, Music Factory children's wing, special events & concerts, research library and jam-packed Music Store. 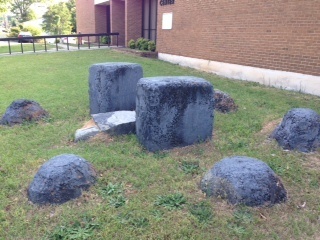 The Peyton Anderson Statue commemorates Peyton Took Anderson Jr. (1907-1988). By 1951, Peyton Tooke Anderson, Jr. (1907-1988) of Macon, Georgia, owned his own newspaper, its building, and its press. The Telegraph and News had a reputation as an independent and creative publication. When it was sold to Knight Newspapers in 1969, Peyton exclaimed, "I'd done it all" (p. 110). In 1907 Peyton, Jr. was born. In the summer of 1916, Peyton, Jr. had his first job as an office boy. When the Macon News failed in 1929, William and Peyton, Sr. his father, purchased it. 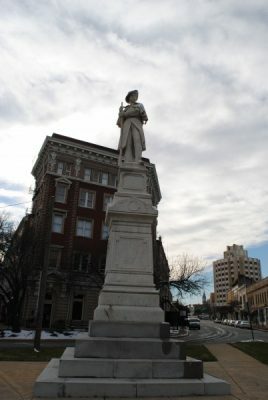 Although the Macon Telegraph, Macon News, and Sunday Macon Telegraph and News were purchased by General Newspapers Services, Peyton, Sr. retained one-third of the stock and was named president of the Telegraph News Corporation. Peyton, Jr. was in military service in 1944 when his father died, but upon his return he was made publisher of the Macon Telegraph and News. In 1951 he bought out General Newspapers and celebrated the 125th birthday of the paper. 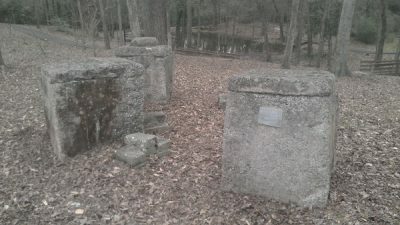 The skill that enabled the Andersons to rise to prominence in Macon and middle Georgia is evident in the sage advice Peyton, Sr. and his brothers gave to the young man: "Treat the lowliest and the highest with the same consideration you would ask for yourself or show your own family if you were called upon to write a story about them. Let us always endeavor to make people and not break them." Subscribers were considered stockholders. Peyton, Jr. was a family man. From the day he married Catherine McClure, June 10, 1930, until his death, the family was central in his life. Daughters Catherine, "Little Kat," and Deyerle were his pride and joy. So too were their husbands, children, and grandchildren. 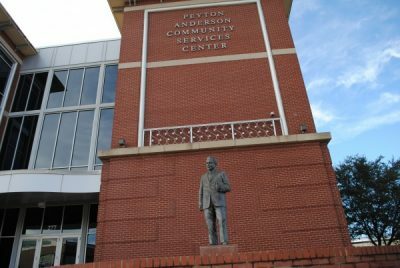 The statue stands in front of the Peyton Anderson Foundation. Since its inception in 1989, The Peyton Anderson Foundation has invested more than $70,000,000 in the Middle Georgia community. Through organizations like the Ocmulgee Heritage Trail, Macon State College, Big Brothers/Big Sisters, and Goodwill Industries, the Foundation has touched the lives of thousands of Middle Georgians. The Peyton Anderson Foundation initiates projects to meet needs in the community, responds to requests from charitable organizations, and provides college scholarships to promising students with financial need. 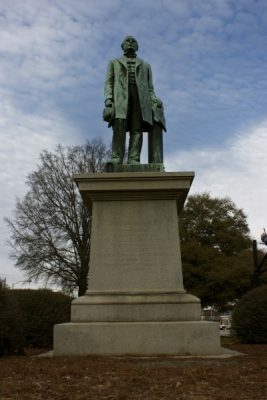 With each grant that is funded and each project that is completed, the Foundation continues the vision of Peyton Tooke Anderson, Jr. to improve lives and enhance the communities of Middle Georgia. The Peyton Anderson Foundation, which was formed to handle the broad distribution of the estate of Peyton Anderson, Jr., is committed to enhancing the quality of life in the communities of Macon, Bibb County, and Middle Georgia. 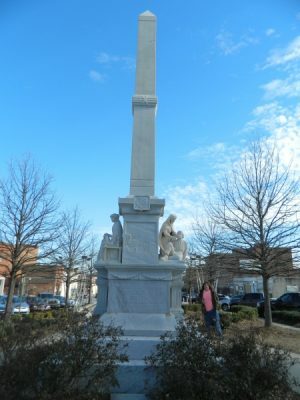 This giant replica of the Georgy Award, an award created annually by Tiffany's for inductees to the former Georgia Music Hall of Fame, stans on the corner of Mulberry Street and Martin Luther King Jr. Boulevard. 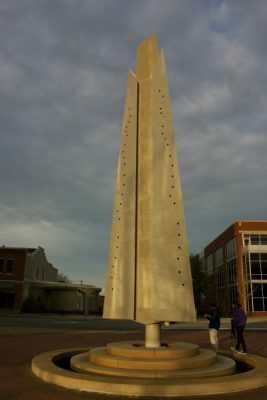 Prior to the summer of 2011 the Georgia Music Hall of Fame was housed in the large building across from the statue on Martin Luther King Jr. Boulevard.